Silver Ridge Pomskies began back in 2015 when we got our first husky. We had all hopes of getting things rolling a year later but things kept falling through until the fall of 2017 when we got our first 2 litters of pomskies! Our dogs are our pride and joy that get the luxury of living in the country with a 3 acre fenced in yard. They sleep in a beautiful red barn that is heated in the winter and cooled in the summer. Our spacious kennels are cleaned at least twice a day and our dogs get to play outside as often as possible. 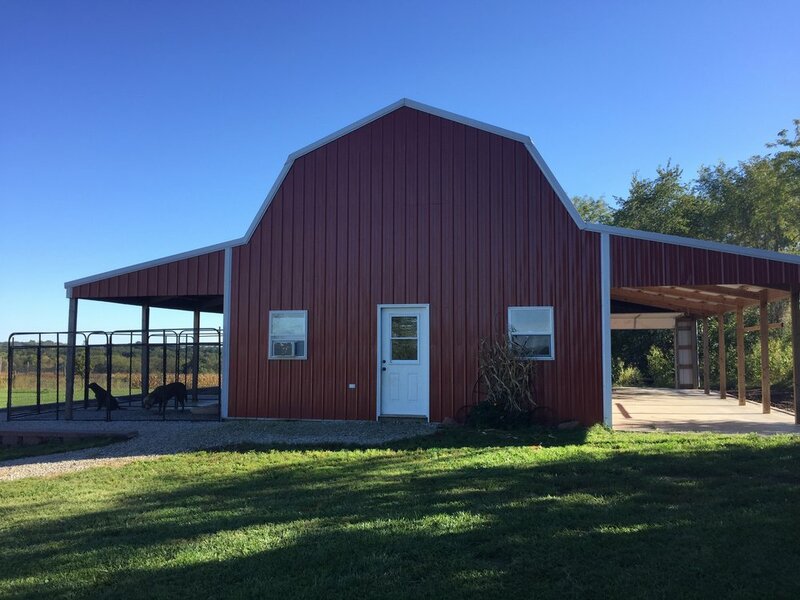 We have an epoxy floor inside of the barn with outside doors to each kennel allowing them to be inside or outside whenever they choose. We dedicate ourselves on not only cleanliness but happiness; we want our dogs to live a happy life. Our dogs are our family and treated like pets, our young son loves to interact with them as they do with him. They are all very social dogs. We thrive on having top quality dogs with the right characteristics that only go to the best loving homes. We interact with them throughout the day whether it is for playing or training, they get a lot of human contact. Silver Ridge Pomskies is located in Southwest Iowa. We are 2 hours each way from Omaha, Des Moines, and Kansas City. We are blessed to have a location in the country for our dogs to run and play but also equal distance from 3 major cities.